HDR10+ support arrives on 2018 Samsung and Panasonic 4K TVs | What Hi-Fi? And we can expect details on the first compatible film releases in the coming weeks. Unsurprisingly, they include several 2018 4K TVs from Samsung and Panasonic (the founding firms of HDR10+ alongside 20th Century Fox). 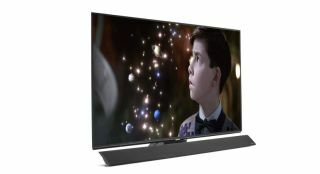 The ‘majority’ of Panasonic’s 2018 4K models are now receiving a firmware update to enable support for the technology, and Samsung’s Premium UHD and QLED TV line-up for this year has also been certified. We expect further announcements on the brands' 4K Blu-ray player support to follow. As for content, 20th Century Fox should be announcing its first release slate for titles in the coming weeks, while according to a recent Samsung press release Warner Bros. is due to release content later this year. HDR Technologies has also revealed the first adopters of the technology, although we'd hope that list would expand to include more hardware and content brands in time.